It’s time to get your windows replaced, and there are so many options on the market from big name brands to local contractors. But when it comes to deciding on which windows should replace your old ones, energy efficiency plays a big factor in your decision. To increase the efficiency of replacement windows, most windows on the market have upgraded from single pane windows to double pane filled with one of two gasses – argon and krypton. Both Argon and Krypton are odorless, colorless and non-toxic inert gasses that increase insulation and energy efficiency safely. Gases work by preventing heat from escaping between the panes of glass, helping keep the house warmer in the winter. The most common filling for double pane windows is low E argon gas. Argon gas helps make the window better insulated to keep summer heat out and winter heating in your home. Gas has become a norm in window insulation because gas is denser than air making it more thermally efficient than windows not filled with gas. Argon is six times denser than air, meaning it slows down the thermal energy traveling through the window. Krypton is six times denser than Argon and twelve times denser than air. This makes it more efficient at slowing down or blocking thermal energy than Argon. Argon is a cheaper alternative to Krypton gas so it has become the norm for window companies. Even as the norm, it doesn’t deliver the same efficiency rating. Even though you might be paying less, you’ll end up paying more in energy losses. How is Krypton more effective? The particles of Krypton gas are smaller than argon particles. As a result, Krypton particles fit better into smaller spaces and crevices. All nooks and crannies get filled up. less room for heat to pass through. You deserve better than the norm. However, it can be hard to find better when everyone seems to be selling the same stuff. The exclusive HR40 windows, however, uses krypton gas filling instead of argon. 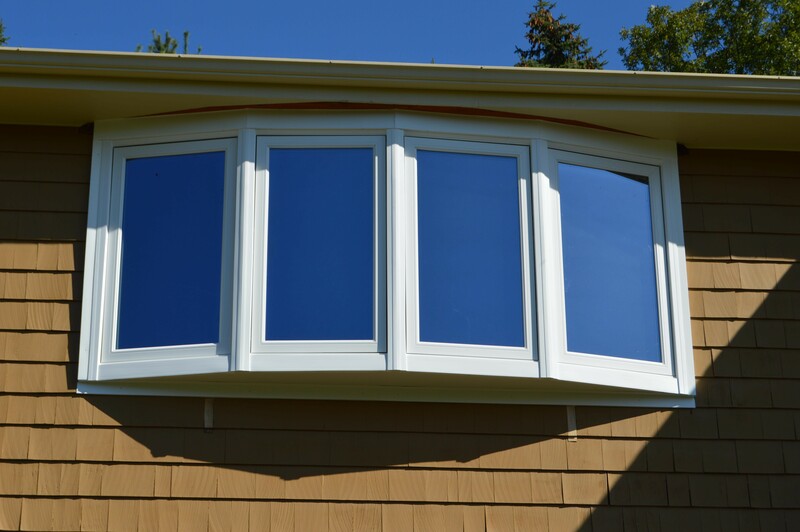 The HR40 windows differentiate in many other ways from the typical windows on the market. They’re one of the most energy efficient, reliable and low maintenance windows out there. You can read about the other differences here. You can experience the difference for yourself with a free estimate good for one year on HR40 windows.